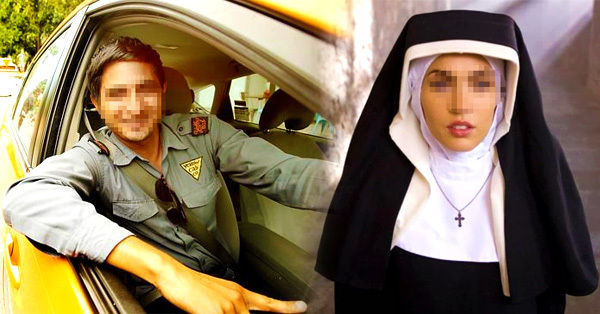 This Cab Driver Convinced The Nun To Give Him A Kiss But The Truth Came Out And It Is Laugh-Out-Loud Funny! There are times when we are being driven by our fantasies and desires. These fantasies seem to overpower our ability to see reality. Such is the case of this cab driver who just discovered something hilarious. In a fictional story published by Facebook page The LAUGH Bible, a cab driver conversed with a nun he has a fantasy of kissing. When he confessed that he wanted to kiss her, the nun surprisingly agreed on two conditions. First, the cab driver should be single and that he has to be a Catholic. The driver then affirmed that he is single and a Catholic. After the kiss, the driver then confessed that he lied about himself. He is actually a married person and his religion is different. Moments after, the nun said something that is remarkably surprising. 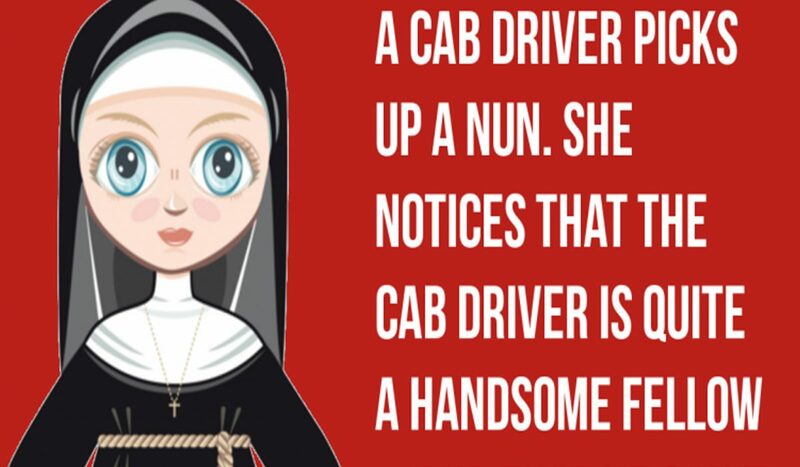 A cab driver picks up a nun. She gets into the cab, and notices that the cab driver – who is quite a handsome fellow – can’t stop staring at her. What would you do if you encounter this nun? What would be your reaction? Share your opinions in the comments section below.